The long awaited and much anticipated ‘Wale Wale’ video is finally out for public consumption. The offical video premier which took place at Club Silk a few weeks back became controversial after the self proclaimed music doctor left the place early without performing and advised fans to catch the video on Channel O. 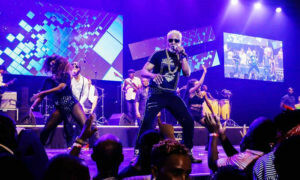 A fight later broke between some fans and bottles were thrown at the DJs when some people got frustrated and demanded that Chameleone performs. However things got worse when the DJ decided instead to play Bebe Cool’s ‘Love you Everyday’ song which made some Chameleone diehard fans angry and according to some witnesses, they threw bottles into the DJs box before they were thrown out by bouncers. 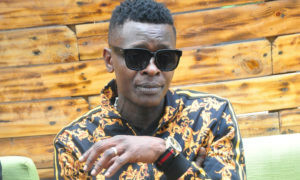 Chameleone later clarified the situation by saying that he was not scheduled or booked to perform that night and there for did not have any obligation to do so, hence why he left early. He also said that he had nothing to do with the fights and confusion that happened after he had left the club. 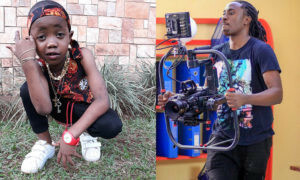 Since then fans have been left in suspense as to where and when they could set eyes on the much talked about video which was shot/directed in Moroto district by Sasha Vybz of Savy Films. With the much debated ‘One Man, One Million’ concert around the corner, Chameleone has now dedicated the show to charity to raise funds for the needy Karimojong families whom he claims warmly welcomed them while shooting the Video in their land. He plans to put up one hundred boreholes and another one hundred pit latrines. This is what he had to say while officially releasing the song for the public. “Thanks for the Support,Love, Believing in Me and my Music that all my Friends,Fans and Family enjoy!!! As we get closer to the year end,I Had a chance to Visit the forgotten Culture Of the Karamajongs.As we went there for purposes of a video shoot we expected the hostility as media reports. But on reaching there we were welcomed and received with love!!!! That was the birth of the “ONE MILLION” Night that has caused a huge debate upon fans and the rest.As usually used “We won’t wait for Karamoja to develop” i refute and the purpose of the “ONE MILLION NIGHT” Is to raise Funds to Buy 100 Boreholes and 100 pit latrines for our fellow country men who are in deperate need of these life basics. All my Friends,Fans and fellow Ugandans .Join me in this nobel adventure. This video was entirely shot at the slopes of Mount Moroto!! Enjoy “WALE WALE” Is here!!!!!! !